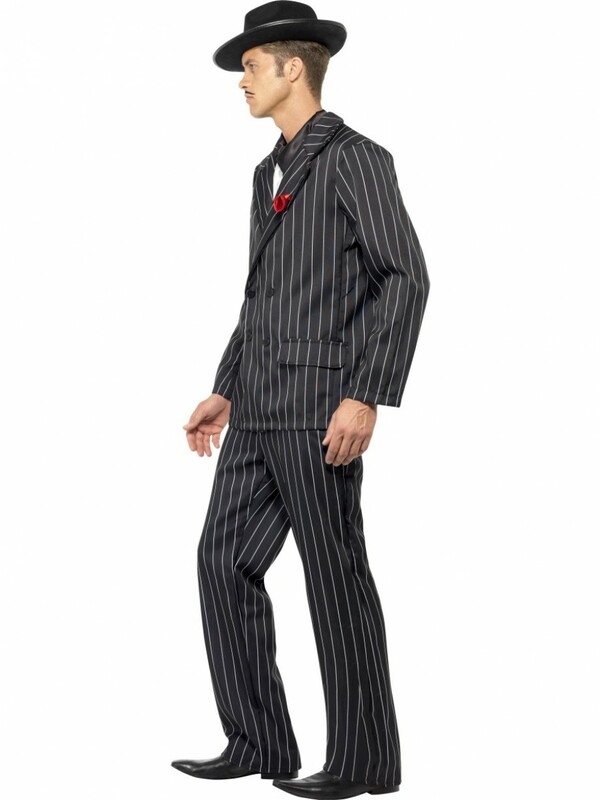 Transform into a slick 20s Gangster with this classic pinstripe costume with Jacket, Trousers, Shirt front & Tie. 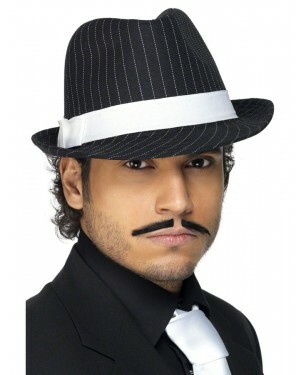 This outfit is simple yet instantly effective in creating a fantastic Gangster Costume. This classic gangster outfit includes everything you need to transform into a slick 20s Gangster with Jacket, Trousers, Shirt front and Tie. The jacket has a wide white pinstripe design with double breasted buttons, faux pockets and a wide collar. There is a single red rose detail in the lapel for a subtle splash of colour. 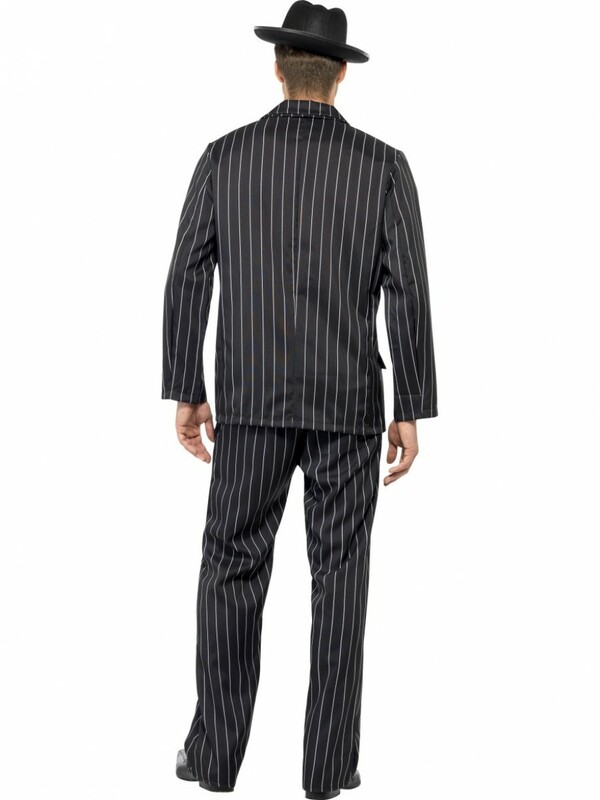 The matching pinstripe trousers have an elasticated waist for comfort. To complete the look a black shirt front (a mock shirt effect panel) is also included with an attached white tie. 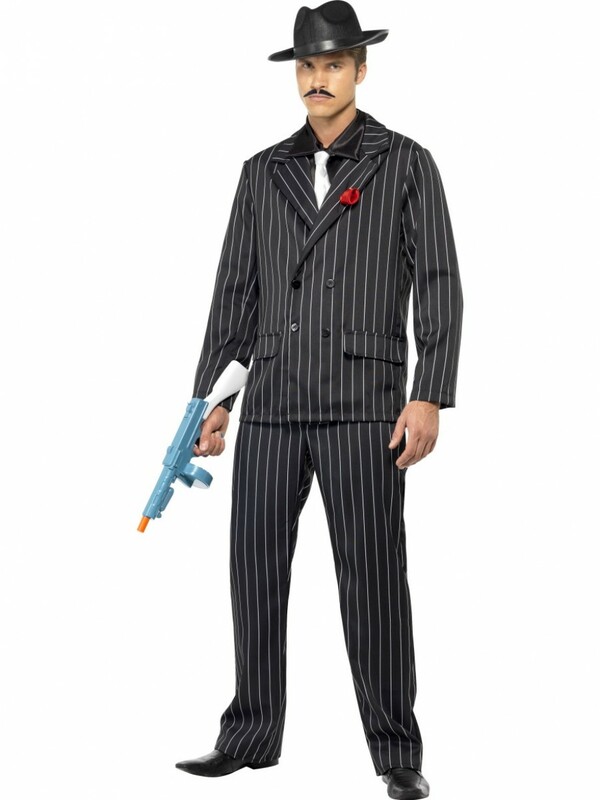 Gangster Costume including Jacket, Trousers and Shirt front with attached Tie.